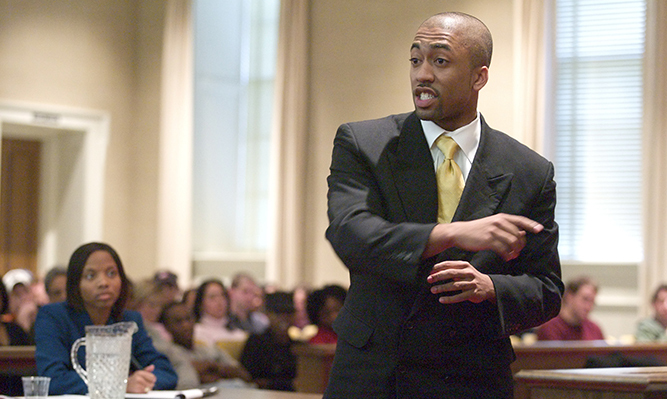 Try criminal and civil mock cases as a member of Georgia Law's Mock Trial teams. Participants deliver opening statements, conduct witness examinations and present closing arguments in the presence of a judge and jury. 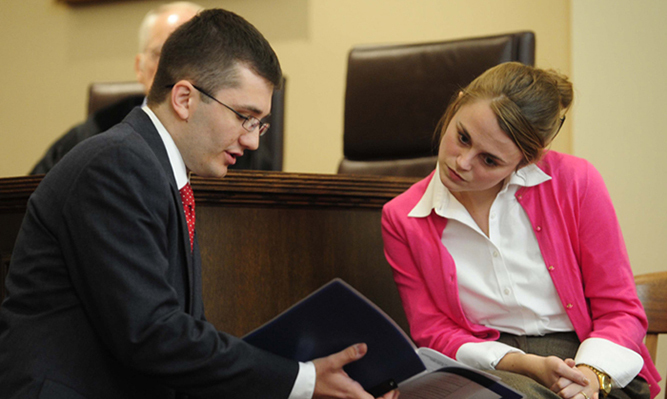 UGA's Mock Trial program receives strong support from faculty members and Mock Trial alumni who dedicate long hours to bench practice rounds, critique student arguments and offer suggestions for improvement. This level of support truly benefits students and helps them to develop the courtroom skills they will need during their legal careers. Membership on the Mock Trial teams is reserved for 2nd and 3rd year law students. 1st year students have the opportunity to participate in the J. Ralph Beaird Closing Argument Competition during the spring semester of their 1st year. For a complete history of Moot Court and Mock Trial wins visit the winning reputation page. Learn more about the benefits of participation. "The success of the advocacy program has been a direct result of the hard work and talent of the advocates and the direction of the professors, staff and alumni in preparing teams for competition. The friendships and bonds formed from participation in the program and the support have made the experience invaluable."